What do Precision Agriculture and Aerospace have in common? 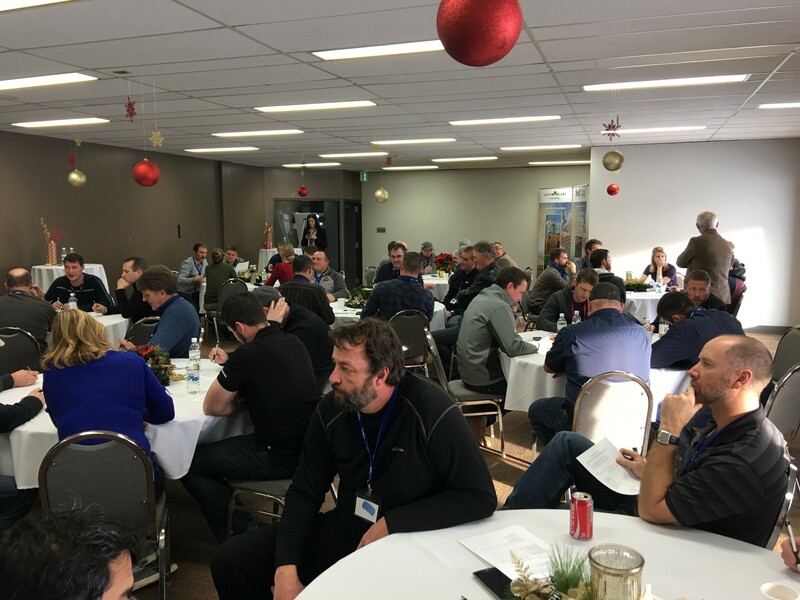 On December 13th, 2016, about 100 farm entrepreneurs, technology advisors, interested sector development people and others, gathered at Southport Manitoba to see how much the two sectors of Agriculture and Aerospace had in common. 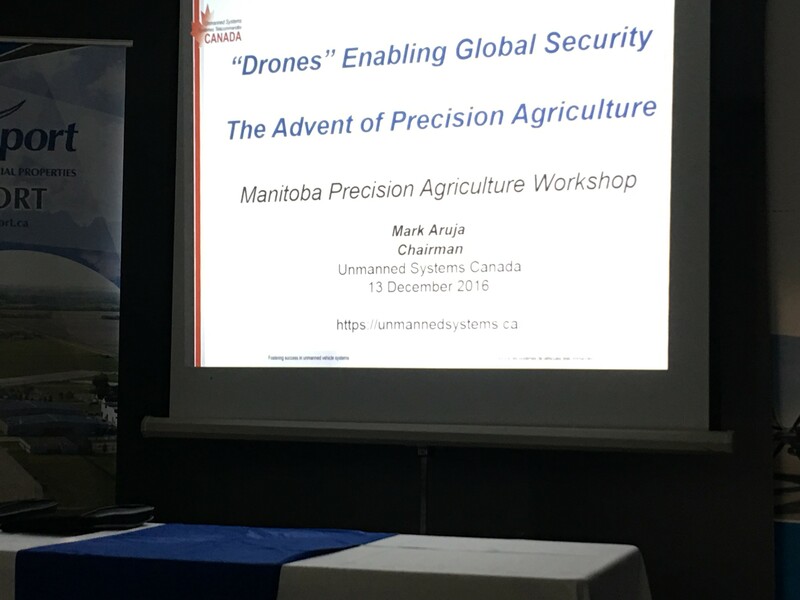 Precision Agriculture relies a lot on aerial image processing and aerospace provides the means through which either manned or unmanned aircraft acquire those images on a timely basis! So, it seems that Precision Ag and Aerospace do have areas of common interest and intersection! Workshop attendees were advised that Precision Agriculture can improve the farm yields by as much as 15% while reducing input costs in places where they are not needed. 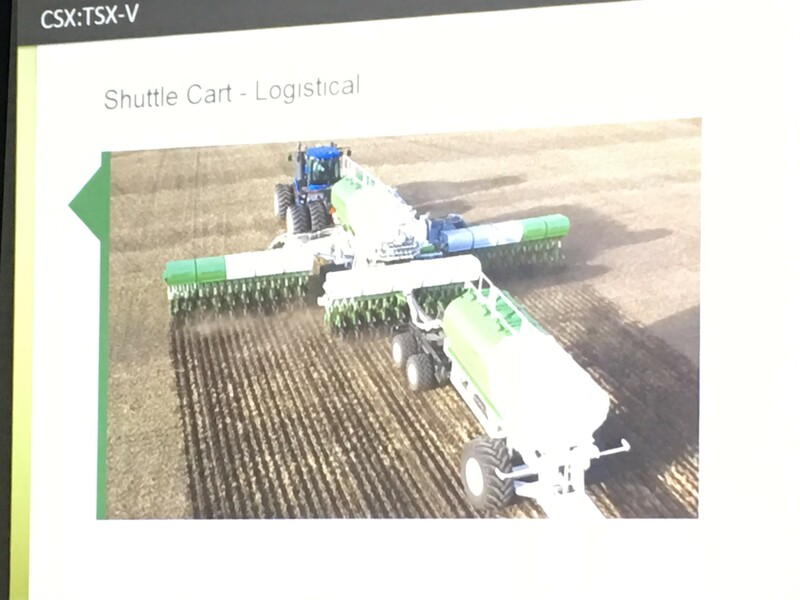 One Manitoba firm presented its solution for an on-the-ground application management system which controls up to six inputs to neutralize acidity while building soil fertility. All this is done while following a plan that has been developed from a series of aerial images and ground sensing. The take home message from this workshop was that Precision Agriculture is a continuous process which generates a lot of data that needs interpretation and management. Aerospace has also been paying a considerable amount of attention to big data management and acquisition. For instance, a typical transoceanic flight produces as much as 1 Terabyte of data which needs to be downloaded, interpreted and maintained at flight’s end! We would like to thank Deanna Mitchell and her team at Southport for staging an excellent workshop. Plans are apparently being considered for another such workshop next year.